Stemmegaffel i rustfritt stål - polert. Størrelse 12.2 x 1.7 cm. High quality steel, polished and plated. 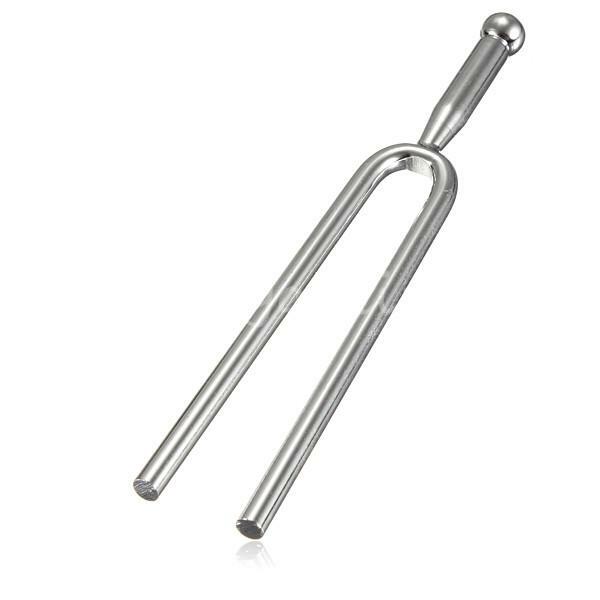 The A440 tuning fork can delivers clear tone, longer sound and accurate tuning. It's suitable for any instrument which can be tunable , but most commonly used with stringed instruments. Size: 12.2cm x 1.7cm .